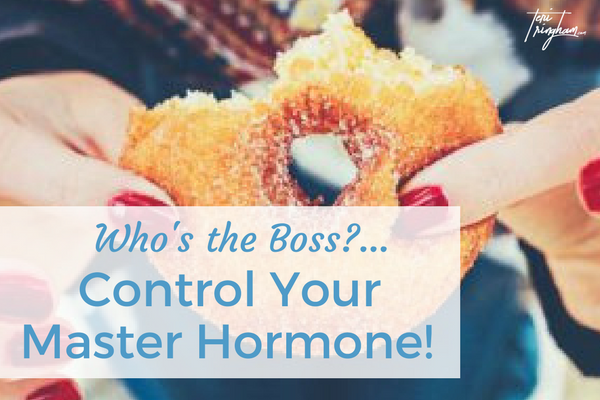 Insulin is the King, da bomb, and considered the “Boss” of your steroid hormones (estrogen, progesterone, testosterone etc)….Insulin is a major player indeed in hormone balance. It’s no accident I like to zero in on Insulin as the #1 area to begin when we want better hormone balance. Insulin balance having a big effect on hormones applies to infants, toddlers, young ladies, older ladies and all ages of our men as well. Insulin may not seem related to your health condition. Therefore, it may not sound like an exciting topic. But when we look at how vital Insulin levels are to feeling good for anyone on this planet, plus the many conditions that might be resolved with healthy Insulin levels…Insulin is an exciting topic! Too many of us assume if we are not diagnosed as diabetic or as having high blood sugar means we do not have a need to pay attention to sugar consumption or Insulin levels. Not true. Every single one of us needs to pay attention to Insulin levels. Fluctuating insulin levels cause damage to all areas of the body and high levels of inflammation. If we wait until the damage is elevated enough to show on a blood test, the damage has normally been manifesting in the body for years. “Undoing” damage is much more difficult than avoiding it. Insulin-through its effect on all body processes, including the functions of the Liver- is highly influential in the development of the steroid hormones: pregnenolone, estrogen, progesterone, cortisol, DHEA and Vitamin D (yes, it’s considered a hormone too!). Thus, if that Master Hormone is out of balance, how can we expect the others to fall into place? We can’t….not one single body system/gland/hormone works independently…. Conditions such as PCOS, Endometriosis and infertility are greatly affected by the inflammation and chaos created from elevated Insulin levels from excess sugar and starches. By no means are these the only conditions related to an Insulin imbalance, but they are three big ones currently influencing females in their reproductive years. We can try to force the steroid hormones into balance through prescription synthetic hormones, supplements or treatments, but if our diet causes Insulin to be out of line, the steroid hormones will ultimately remain disrupted and “out of line” no matter how much we try to force or influence them. It’s far better to influence healthy Insulin levels through diet and lifestyle than it is to force through medication. In this way, we are working with the body to come to homeostasis/balance in true alternative medicine fashion: focusing on an area of the body that highly influences many areas of the body instead of “treating” the individual areas and conditions that ultimately are out of line from the root cause of blood sugar/Insulin levels out of balance. We tend to think Insulin resistance as something for older people or diabetics to worry about. Back in our grandparents day… it pretty much was. But “nowadays”, that’s not so true. Since Insulin resistance often reflects as other conditions related to the inflammation and stress on the body that Insulin levels/blood sugar create, we are seeing an epidemic of young people with insulin issues that manifest as different health conditions. Unfortunately, it’s common that these young people, their parents and, often their doctors, don’t realize there is an Insulin resistance issue because conditions can manifest before blood sugar levels show as a problem. This can set the doctor and patient off on a wild goose chase of possible prescription medications (creating their own set of problems). Yet, they may be better off changing their diet to low sugar/starch with more healthy fats such as eating avocados or using coconut oil for cooking. After 15 years of specialists and hospitals, not one single one of our medical “professionals” discussed, tested or considered blood sugar as a factor in our daughters severe hormone condition. Only at our request did it get tested. The test showed slightly elevated levels with the doctor determining there was no blood sugar issue. Her diagnoses…the blood sugar levels are not that far out of range to label it as a problem. With the newfound knowledge on Insulin levels effect on hormones, I persisted in pushing for a follow up second test with this one finding her blood sugar levels exceedingly high. Although changes to her diet to work on improving Insulin resistance aren’t the only change we made to work her off all twelve of her medications, it was one very impactful change in the protocol we used for tremendous improvement in her hormone issues. I’m a big believer that “testing” is not nearly as reliable as symptoms. Testing may show one hormone far out of range so you treat that one hormone. This doesn’t resolve why that one hormone was out of range which leaves you chasing down the rabbit hole of treating the symptom not the cause. Or, you may test your Insulin levels, thyroid, estrogen, progesterone and they come back normal yet you still have symptoms indicating an issue in one of those areas. If you have hormone imbalance symptoms, treat yourself with alternative health methods as though you have elevated levels in all areas. Since this normally involves a healthy diet as the number one way to “treat”, you have nothing to lose and a whole lot-potentially-to gain. Study symptoms, look at your environment and diet, then make the necessary changes. This is a better route for bringing focus to the root cause of the problem rather than going from blood test to blood test with, likely, medications to “bring you into balance”. Any “balance” achieved will be lost unless the root cause disruptor is removed. We know Insulin has a strong influence on all steroid hormones. It follows that the influence of disrupted steroid hormones on all body functions could create a plethora of conditions being treated with meds. This, ultimately, may be treating the symptom-not the cause -of carbohydrates and sugar/starches creating havoc on our Insulin levels. Here is a scary fact…..the average child …by the time they reach eight years old has consumed as much sugar as our grandparents consumed in their lifetime. Think about that every time you go to hand your child a cookie, pastry, crackers, ice cream, soda or any starch/sugary treat. You love to see that sweet face light up. She’s 3 years old…little, adorable and it’s a delight to see her enjoy the treat. Now think about that adorable little human being having her first period at 8 years old. The statistics verify precocious (premature) puberty is happening at a disturbing rate. The average age for a young girl to enter puberty in 1900 was 14.2 years old. Reflect body changes indicating they have entered puberty. Eight years old…this means many young girls are being robbed completely of childhood and sent right into early “womanhood”. Keep these numbers in your mind when you have the desire to live vicariously by offering your child (or grandchild) a sweet treat. Boys are no more immune to this damage but it may not manifest as early puberty and early hormone imbalance as much as females. On the other hand, many of the young boys-like girls- health conditions have potential to be related to the inflammation and biochemical disruption created from Insulin resistance. Sugar is addictive-studies have shown as powerful an addiction as cocaine. There is a rewarding “rush” from the sugar that creates a biochemical reaction in the body that makes it very happy. UNTIL…..an hour or two passes and the receptors once again start demanding. To feel good, we once again indulge that demand with some crackers, bread, chips or sweets. That’s why it’s so darned hard to reduce our sugar consumption and why our children love it so much. The more sugar/starches we give them from babies onward, the more addicted–the more sugar consumed. In the meantime the sugar is decimating hormone health—for you, for your growing child, for the elderly….for literally every human being. PCOS (Polycystic Ovarian Syndrome) and Infertility go hand in hand. High Insulin levels cause the ovaries to produce androgen hormones-a factor in PCOS. Endometriosis (Endo) is another condition (also a high cause of infertility) with no good solutions, medically. Yet we know sugar causes inflammation in the body. This would include every part of the body…including Endo cysts that result in painful cramping. Couple this with imbalanced Insulin influencing estrogen/progesterone levels and we have at least one area to focus for Endometriosis. When a female has fertility issues, the body is saying it is not well enough to produce a baby. When we get no baby, we head to the specialist. What is a usual protocol from fertility specialists? Injections of powerful synthetic-cancer causing-hormones. Yet, are blood sugar levels discussed or checked? And how many months of a changed diet are tried before injecting these synthetic hormones into the female body? In an ideal world, fertility specialists would be educating the female having difficulty conceiving that Insulin resistance is decimating the androgen and progesterone levels necessary to create a baby. Unfortunately, these specialists have a focus on medications and surgeries that have a poor track record for helping our females. Add in the extremely limited medical school training in how food/drink and chemicals affect our body, and we have women being “treated” by a medical system offering little help in what is causing these hormone conditions. We obviously cannot say every female having trouble conceiving will conceive by reducing or eliminating sugar. Nor can we say every female struggling with hormone issues, will improve with diet change. But I can say with a fair amount of confidence, given a reduction in sugar and avoiding chemicals combined will show some-if not great-improvement. However, the average six hours of nutrition in 8-14 years of schooling for our doctors will never be enough to convince them the impact food (and chemicals) have on hormone balance. This is why I was forced, after 15 years, to take over on our childs health plan. 12 daily medication doses with four failed surgeries and over a decade of appointments/specialists finally made me see the light: The limited nutrition education our doctors receive in medical school are a far cry from the hundreds of hours of reading and research I invested to help our daughter work off all synthetic medications and see huge improvement in her hormone condition. The hope for resolving you or a loved ones issues stand better chance-in most cases-by choosing the path of removing the root cause…most often diet and chemical exposure. The study of helping the human body come to homeostasis naturally rather than forcing it with synthetic hormones is sadly, not in current medical school curriculums…but it should be. Giving up sugar may be more work than receiving an injection or using a pill, but the long term effects and outcome may be much more gentle and rewarding. Food for thought…. Whether your blood sugar shows as being in line on a blood test or not–there’s no way a body can tolerate the biochemical abuse of sugar consumption that is roughly four times the amount recommended by the American Heart Association being consumed by the average American today. Hormone secretion by our Endocrine glands cannot be optimal if Insulin levels are not optimal on a day to day basis…really…there is not a single female condition –or any human health condition–that would not benefit hugely from reducing or avoiding sugar and maintaining healthy insulin levels. Healthy insulin levels begin with reduced sugar and starches (think potatoes, bread, crackers). Better balance can be achieved but much will depend on your overall health, willingness to change diet and your mindset. Baby formula having any sugar is just plain wrong. A baby, when hungry will drink what they need-they don’t need the sweetening of sugar. But sugar is cheap so the manufacturers use it as a filler. Having up to 50% sugar??? That should be a crime. But it’s not. The U.S. is far, far behind other nations in monitoring both chemicals and foods. Therefore, the more you become aware, the better your chances (and your childs) of better health. What are some things we can do support healthy blood sugar levels? Ocotea Oil—one of my favorites-gentle taste-powerful support for healthy response to body inflammation. Coriander, Dill, Cinnamon Oils (go easy with Coriander as it’s a powerful oil) for Endocrine system support. OmegaGize—this is Young Living’s fish oil supplement that combines the best of three supplements: omega 3 fatty acids, vitamin D-3, and CoQ10 (ubiquinone) PLUS essential oils of Clove, Cinnamon & Spearmint. Ningxia Red –a powerful whole-boy supplement, Ningxia Red combines essential oils of Lemon, Orange, Yuzu, and Tangerine with powerful juices including the highly touted Ningxia Wolfberry with plum, aronia, cherry, blueberry, and pomegranate juice. Einkorn products –Einkorn wheat is an ancient grain that has not been processed and altered like modern day wheat. If you are craving something more substantial than veggies to “fill the hole” Einkorn is more digestible by our body. (Keep in mind, any and all starches will affect blood sugar-even starches that are better than others). There’s no question…our diet today has evolved in the wrong direction. We have gone from our ancestors eating fermented foods, meat, garden vegetables and fish to “convenient and fast” packaged foods with unrecognizable ingredients loaded with sugars. Insulin is our Master Hormone. It’s effect on the body is so much more far reaching than just the impact it has on our steroid hormones. The chain of events in the human body each and every time we ingest sugar or any food that turns to sugar in the body is literally a matter of living a healthy life… or being plagued with health conditions and potentially shorter lifespan. For ours and our children’s health, consuming less sugar and incorporating healthy food practices is a great way to make positive steps toward hormone balance…and also for improving overall health! Have you made the change from a high sugar diet to minimal sugar? Please share your experience in the Comments below!